Pendant sign of the zodiac ram with high quality silver. As you can see in the pictures, it is a com..
Aquarius zodiac sign pendant made of high quality silver. This zodiac sign is assigned to people bor..
Pendant with a sign of the zodiac cancer with high quality silver. This zodiac sign is assigned to p..
Pendant with the zodiac sign Capricorn made of high quality silver. This zodiac sign is assigned to ..
Scorpio zodiac sign pendant made of high quality silver. This zodiac sign is assigned to people born..
Pendant zodiac sign weight made of high quality silver. This zodiac sign is assigned to people born ..
Pendant with the sign of the zodiac bull with high quality silver. This zodiac sign is assigned to p..
Pendant with a heart-shaped crystal with a deep pink color. This stone beautifully shimmers in the l..
Pendant with a virgin zodiac sign with high quality silver. This zodiac sign is assigned to people b..
Silver heart-shaped pendant studded with cubic zirconia, which beautifully shimmers in the light and..
Pendant with the sign of the zodiac twins with high quality silver. This zodiac sign is assigned to .. Lion zodiac pendant sign made of high quality silver. 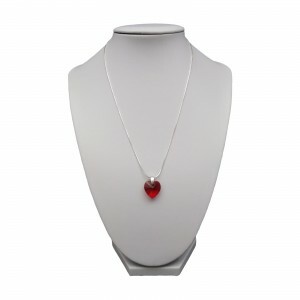 This zodiac sign is assigned to people born fr..
Pendant with a red crystal in the shape of a heart. This stone beautifully shimmers in the light tur..
Pendant with dark pink crystal in the shape of a heart. This stone shimmering beautifully in the lig..
Pendant with a gold non-transparentcrystal in the shape of&n..
Pendant with pink crystal in the shape of a heart of powder pink color. This stone beautifully shimm..
Pendant with a light green crystal in theshape of a heart. This stone shimmeringbeautifully in the l..
Pendant with a light pink crystal in the shape of a heart. This stone shimmering beautifully in the ..
Pendant with a light purple crystal in the shape of a heart. This stone shimmering beautifully in th..
Pendant with a white, transparentcrystal in the shape of&nbs..
Pisces zodiac sign pendant made of high quality silver. This zodiac sign is assigned to those born o..
Zodiac sign of the zodiac pendant made of high quality silver. This zodiac sign is assigned to peopl..